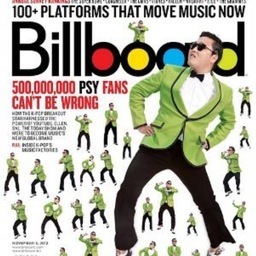 Psy will reportedly make $7.9 million this year alone from 'Gangnam Style'. The song has overtaken Justin Bieber's Baby as the most viewed on Youtube with close to a billion views and will allegedly make $870,000 in ads displayed during the video. He will allegedly make the rest of his money from endorsements and Itunes download. Having won several awards including Best Music Video at The MTV EMA, he is expected to perform at a charity ball with US President Barrack Obama in attendance. The 34-year-old rapper, had to apologize recently after it was discovered that he called for the killing of American soldiers in one the songs he performed at a 2004 concert held to oppose the US-led invasion of Iraq.